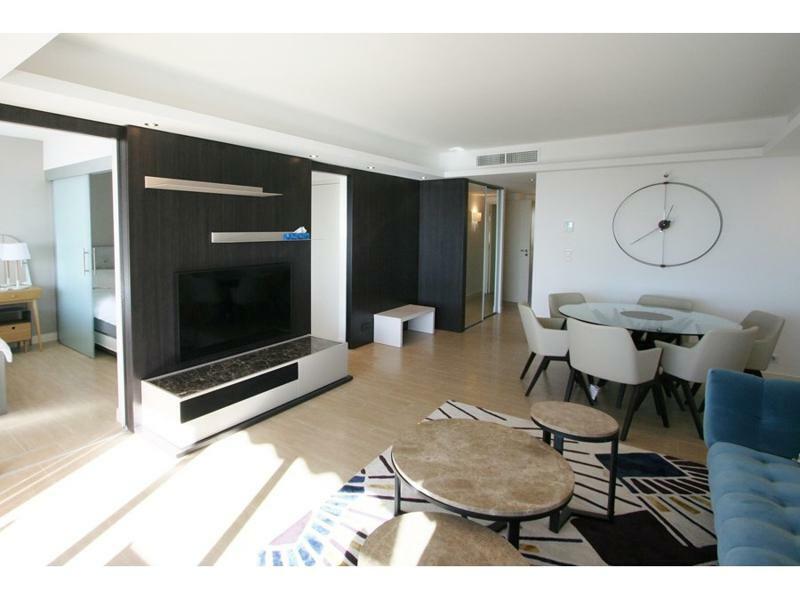 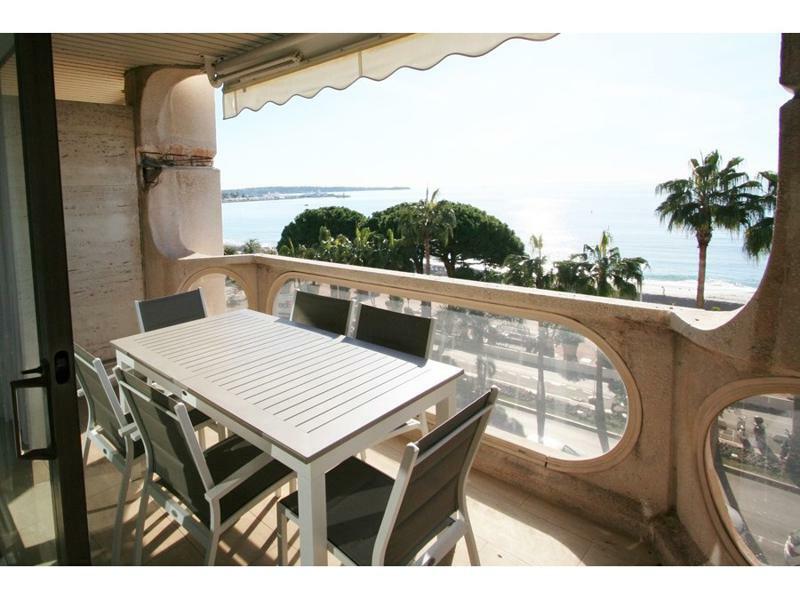 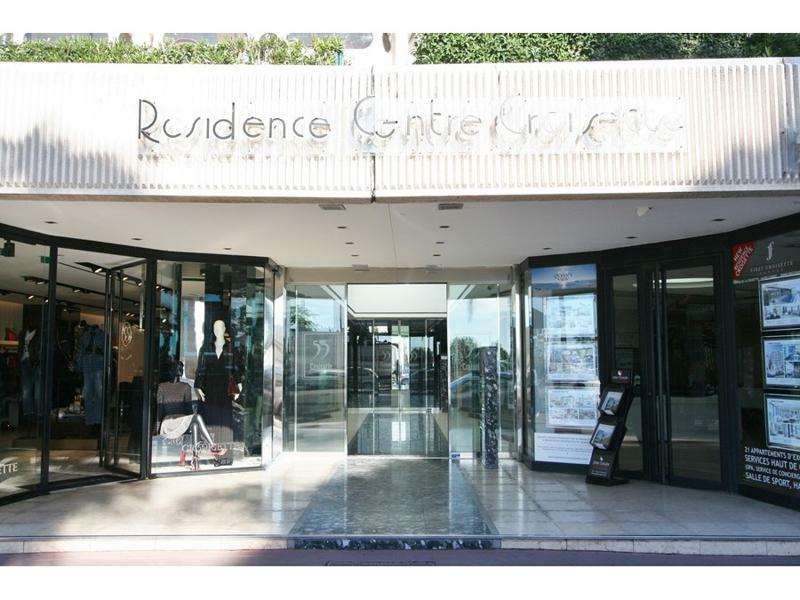 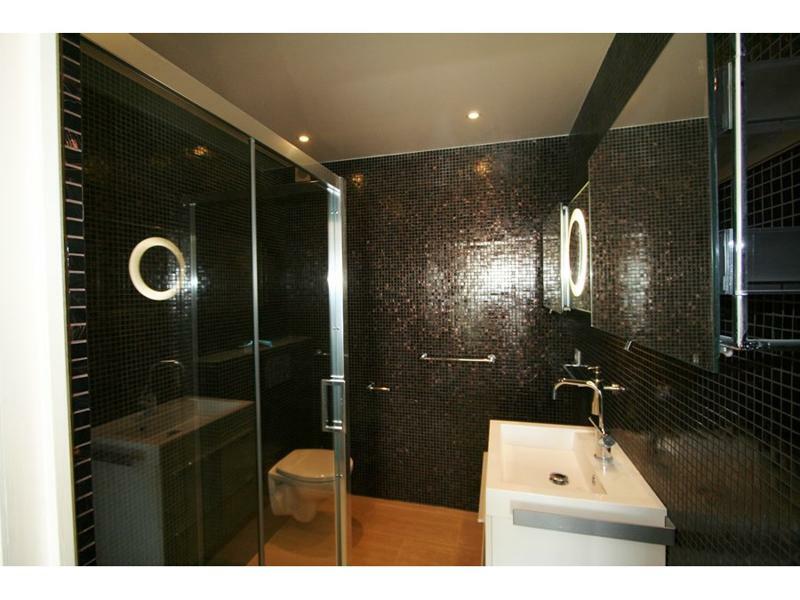 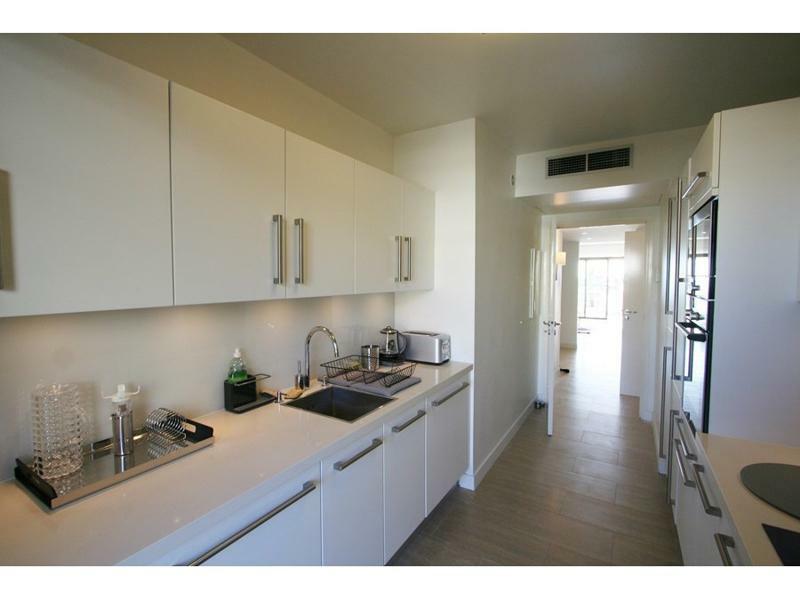 This amazing 2 bedroom, 2 bathroom apartment is located just a short 8 minute walk away from the Palais des Festivals. 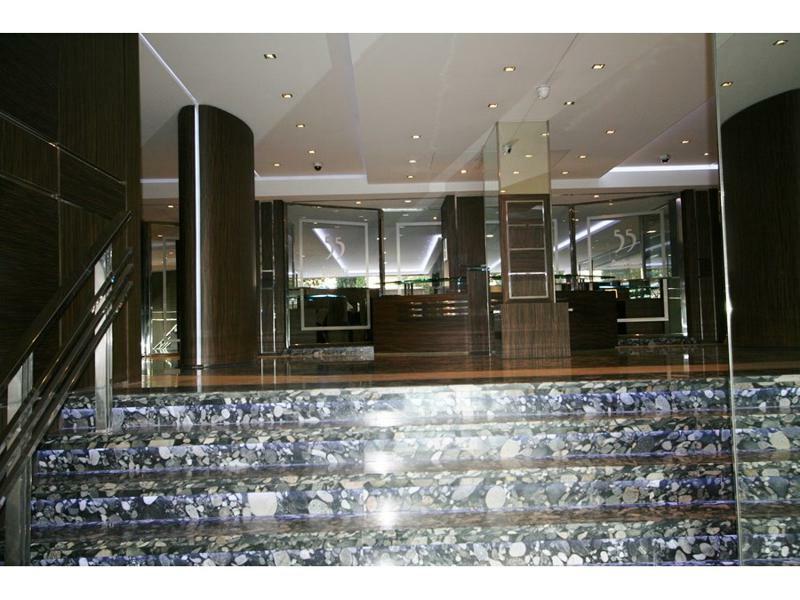 It's situated on the 4th floor of a luxurious residence with an elevator. 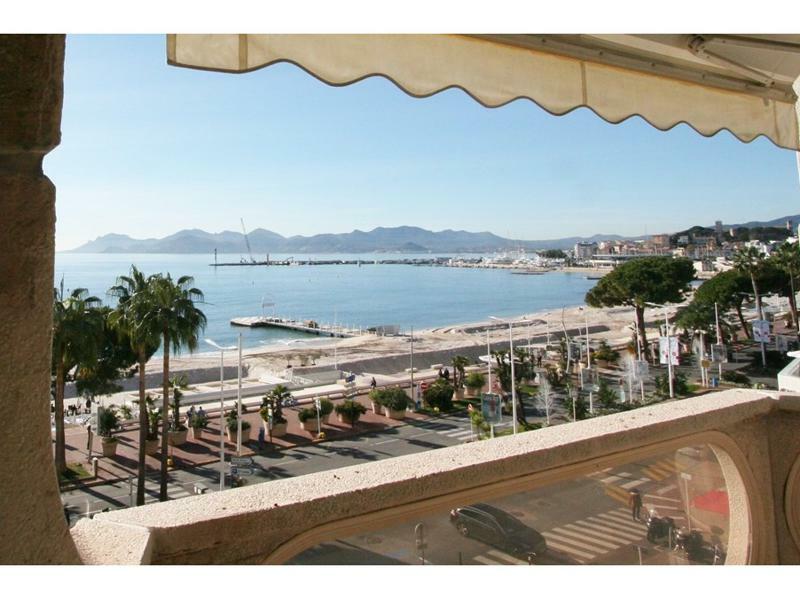 The entire apartment has be redecorated with a modern design and is the perfect place for your stay in Cannes! 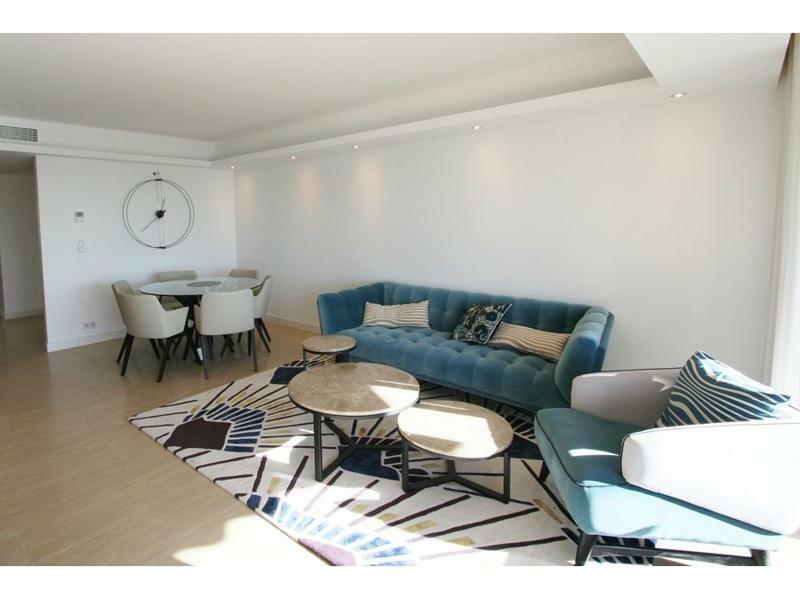 The living room is bright and spacious and offers a sofa and chair, as well as a dining table.The living room opens onto an amazing terrace with patio furniture and an unforgettable view. 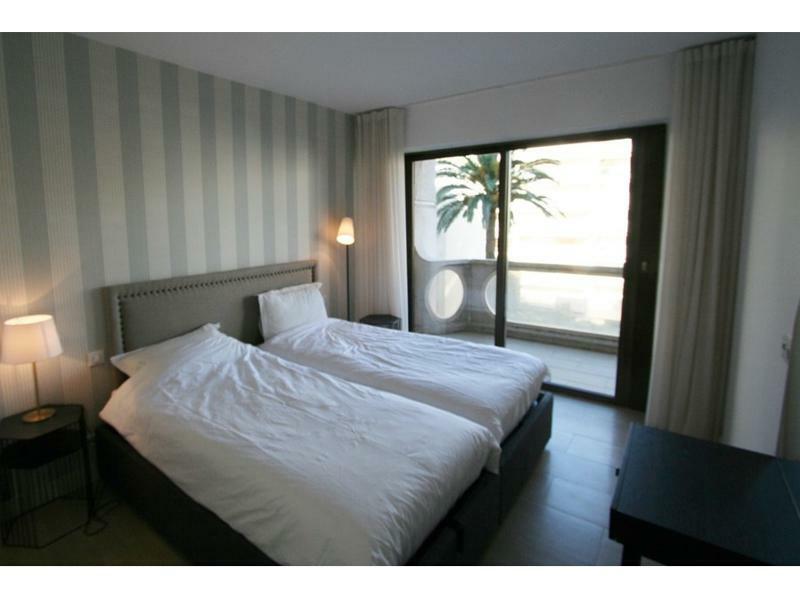 The 1st bedroom offers 2 single beds that can be joined to create a double bed if desired and includes an ensuite private bathroom with a bath tub and toilet. 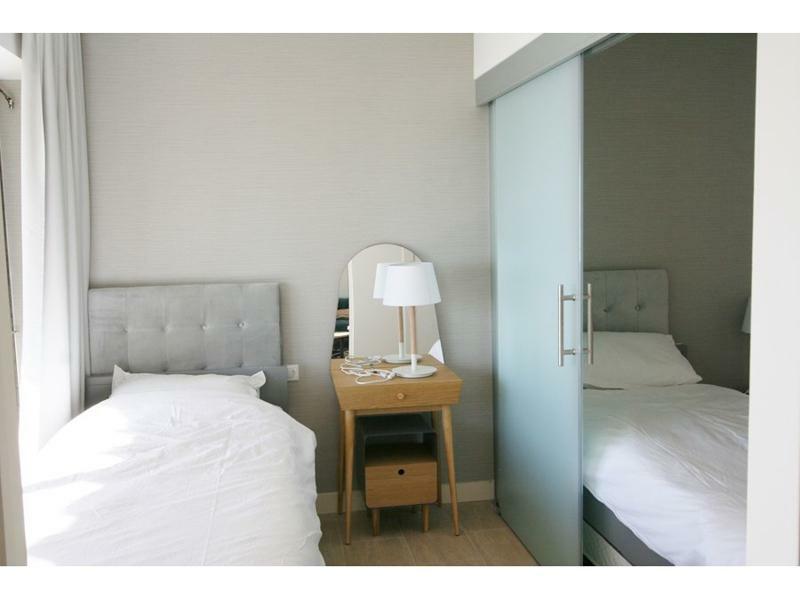 The 2nd bedroom offers 2 single beds as well, and provides a sliding door to create 2 small bedrooms if you wish, and also includes an ensuite bathroom with a shower and toilet. 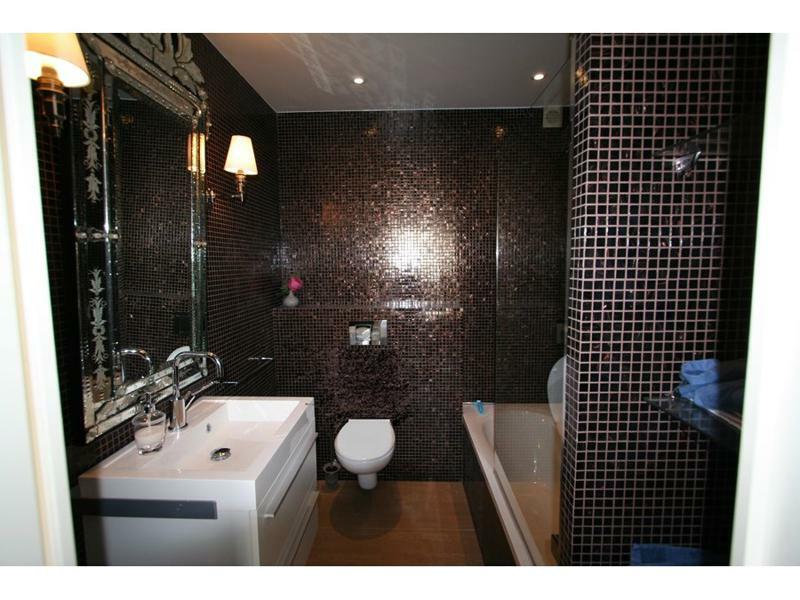 There is a separate and complete kitchen and as well as a guest toilet should you have company over. 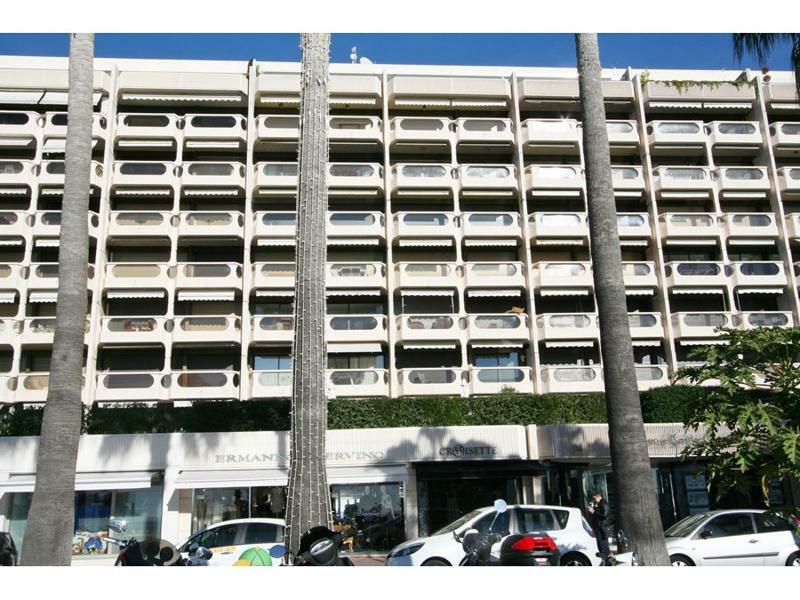 Amenities include: Internet, TV, and air conditioning.